Franklin, 10 @ Bishop Feehan, 3 – Final – Franklin’s offense had its best outing of the season, plating 10 runs in a big win over Feehan. The Panthers had 10 runs over the first five games but equaled that amount in the win over the Shamrocks. Alex Haba (2-for-3, triple, run), JB Flores (run), and Jake Macchi (3-for-5, run) each knocked in a pair of runs for the Panthers while Jack Nally (1-2, two walks, two runs) and Evan Wendell (2-for-4, run) each had one RBI. Scott Elliott added two hit and a run and Colby Fitzgibbons chipped in with a hit, a walk, and two runs scored. Ben Guzman (1.2 IP, 2H, 2K) and Michael Langmeyer (1.0 IP) didn’t allow a run in relief appearances. Milford, 1 @ Hopedale, 2 – Final – Milford sophomore Colby Pires had a strong outing on the mound, tossing a complete game with five strikeouts but the Hawks lost by a run. Aidan Wilde went 2-for-3, including a double, and scored a run for Milford. North Attleboro, 13 @ Sharon, 1 – Final – North Attleboro took the lead with three runs in the third inning and then broke the game wide open with nine runs — all with two outs — in the seventh to beat Sharon. Aidan Harding singled and pinch-runner Jackson Billingkoff stole second and moved to third on a single from Peter Cohen. Brendan McHugh knocked Billingkoff in with an RBI single, Nick Sinacola plated Cohen with a double, and McHugh came around on a Zach DeMattio RBI groundout. In the seventh, DeMattio (two-run) and Nate Pearce hit back-to-back home runs and McHugh added a two-run double. Cohen went the distance on the mound for North, striking out seven to earn the win. King Philip, 5 @ Newton North, 8 – Final – King Philip nearly orchestrated a big comeback, scoring five runs in the top of the seventh but fell short on the road at Newton North. Elise Pereira belted a three-run homer in the seventh to help the Warriors get back into the game. Faith Turnese had two hits and allowed just two runs in a relief appearance, tossing the last three innings. KP had a strong day on defense with Jess Bonner turning a double play, Sydney Phillips gunning a runner out at the plate, and Destiny Goyco picking off a runner at first. Milford, 15 vs. Hopedale, 1 – Final (5 inn.) – Milford pushed across seven runs in both the second and third innings on its way to a big win over Hopedale. Each player in the Hawks lineup had a hit, totaling 16 as a team. Emily Hartman (3-for-4) and Jess Tomaso (2-for-3, two runs) each had a double and three RBI to pace the offense. Emily Piergustavo added a grand slam and Sabrina Haarstick knocked in two runs. Kelley Reichert got the win, striking out nine in four innings of work. Sharon, 0 @ North Attleboro, 13 – Final (5 inn.) 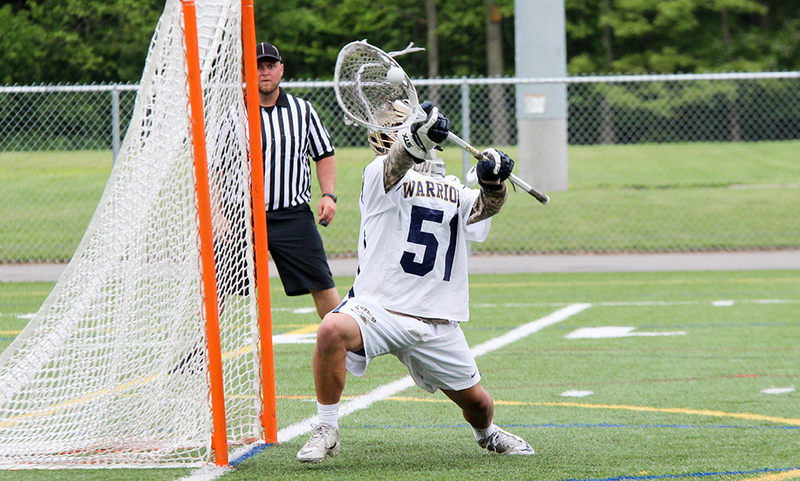 – Click here for a Photo Gallery from this game. 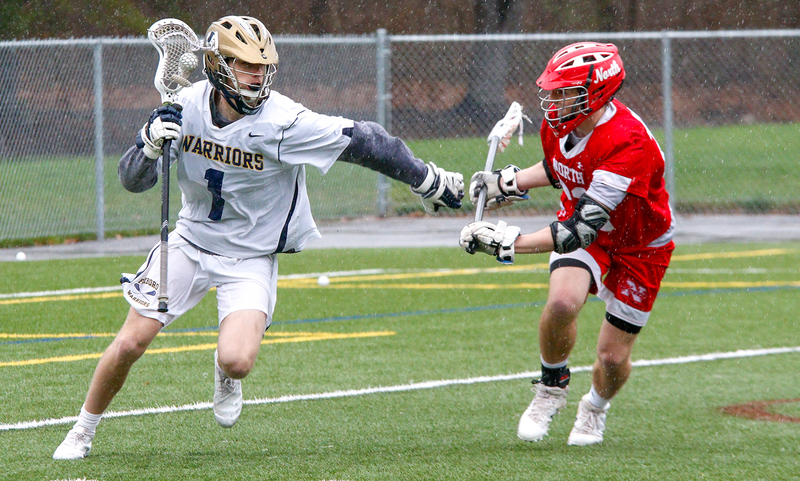 Foxboro, 17 vs. Catholic Memorial, 8 – Final – Foxboro’s Shayne Kerrigan dominated at the face off X, winning all but two draws to help the Warriors dethrone Catholic Memorial and win the Chowda Cup title. 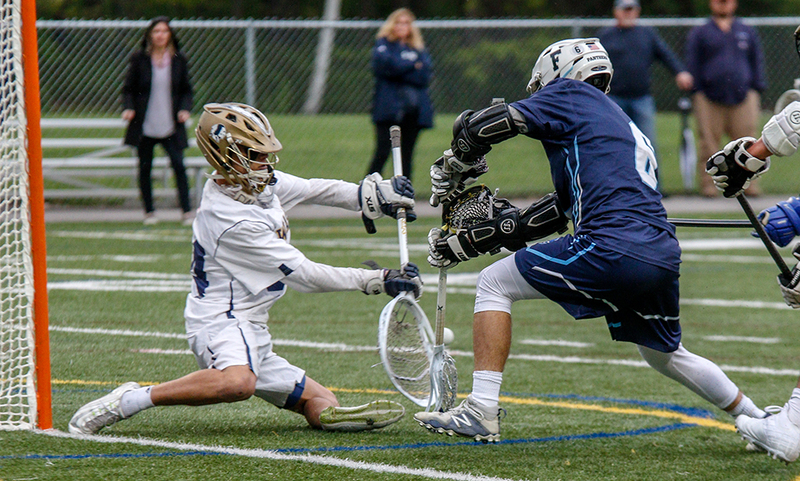 Louis Piccolo had his way on the offensive end, netting a team-high seven goals while adding three assists. Foxboro led 7-5 at half but dominated the third quarter to create separation. 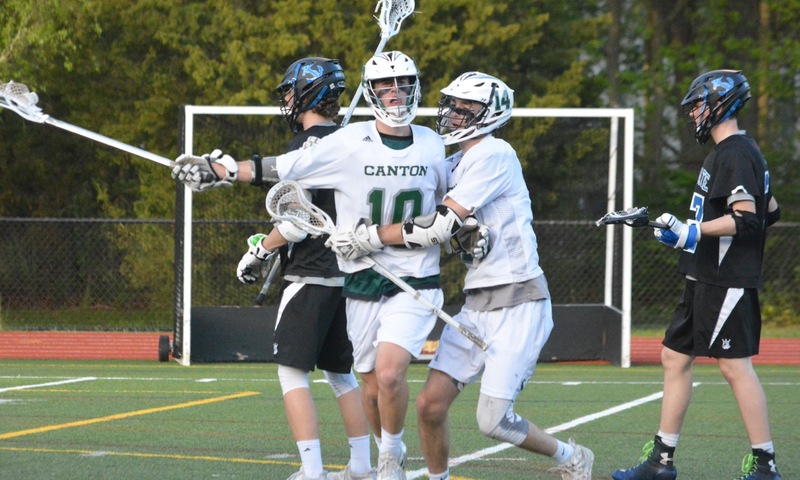 Brendan Tully and Mike Moses each scored three goals and Pete Conley had one goal and three helpers.